Posted by Bravado Cooking for Men in Recipes. 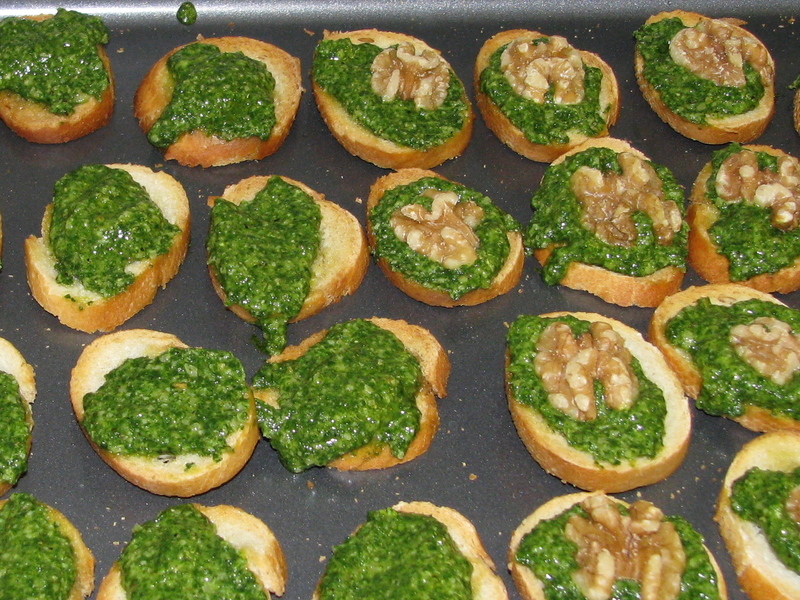 “I’ll give you a kiss if you make me some cilantro pesto and put them on little pieces of toast”, she said. He knew he had her in the palm of his hand. Today we will learn how to make an easy, but very unique appetizer for the Holidays. You always need something new and different, and this is it. It is inexpensive – total cost is about $3.00 for a tray of goodies – and quick – about 15 minutes from start to cleanup. Pesto isn’t always about basil. The word itself simply means “crushed or mashed” and you can make pesto out of many things – including cilantro, which is one of my all-time favorites. “Cilantro contains an antibacterial compound, dodecenal, that has shown to be a safe, natural means of fighting salmonella, a frequent and sometimes deadly cause of foodborne illness. Both basil and cilantro are amazingly powerful foods. 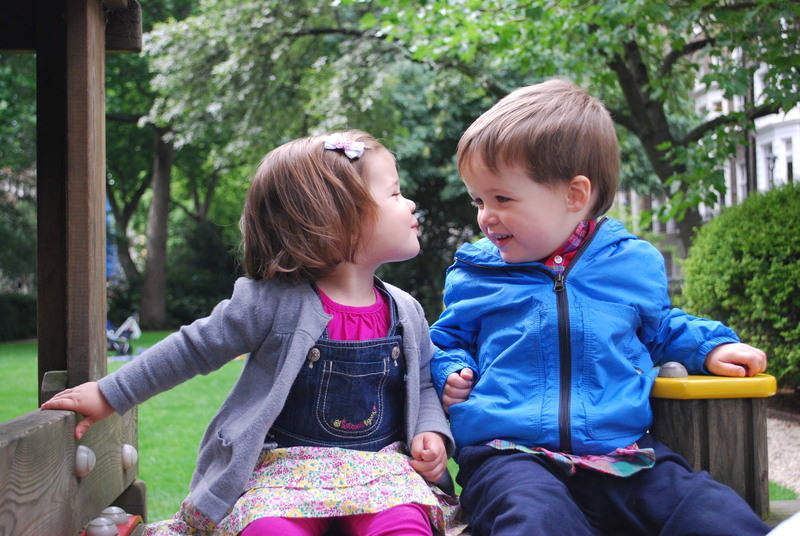 They contain significant amounts of vitamins –especially A and K – and minerals. In Mexico where water and sanitation is sometimes a problem, everyone uses enormous quantities of cilantro in almost all meals, partly because of the anti-bacterial qualities of this magical herb. In addition to all of that, it tastes wonderful. Cilantro is found in every supermarket and is very inexpensive. You can usually buy a large bunch of fresh cilantro for about $1.00. Unlike other herbs, the stems are tasty and only the larger, woody portions should be discarded. Cilantro and coriander is the same thing. 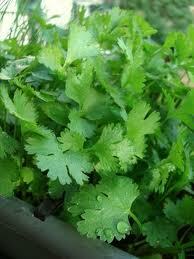 In the U.S. we use cilantro to refer to the leafy herb, and we say coriander to refer to the seed. In Europe, they just say coriander for both. 2 tbsp. of toasted sesame seed oil. This is easily available at the supermarket and one bottle will last a long time. Slice the baguette into rounds about ¼ to ½ inch thick. Put the rounds on a cookie sheet and brush with olive oil. If you don’t have a pastry brush, make a little cone of paper towel and use the tip as your brush. Put the rounds in the oven for 8-10 minutes until they are toasted a light brown. Set aside to cool. You have just made some wonderful crostini. Remove large, woody stems from the cilantro and put into a food processor. Add the sesame seed oil, olive oil, garlic, lemon juice, salt and pepper. Blend until smooth. Assuming you have measured things correctly, you should have a rather thin paste. Use a spatula to spread on the crostini. Decorate with walnut halves, if you wish. Let me know what you think about this recipe. Click “Comment” above. Feel free to experiment and add other things to your pesto and share your experience.